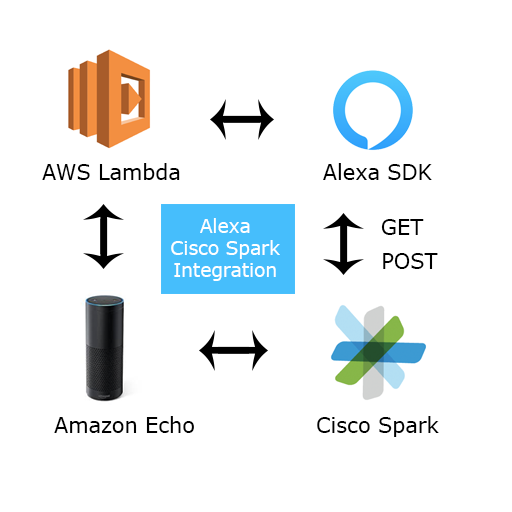 Sal the Spark Bot is the first Alexa integration for Cisco Spark in the market. Cisco Spark is a collaboration space to create, share, and get work done together. With the power of Alexa, you can now create spaces, read messages, and create teams hands-free. This is a convenient way to use the platform hands-free and for blind people to navigate the application as well. Node.js file that uses AWS Lambda. * nodejs skill development kit. * This sample supports multiple lauguages. (en-US, en-GB, de-DE). teamsPhrase = "Here is your team: "